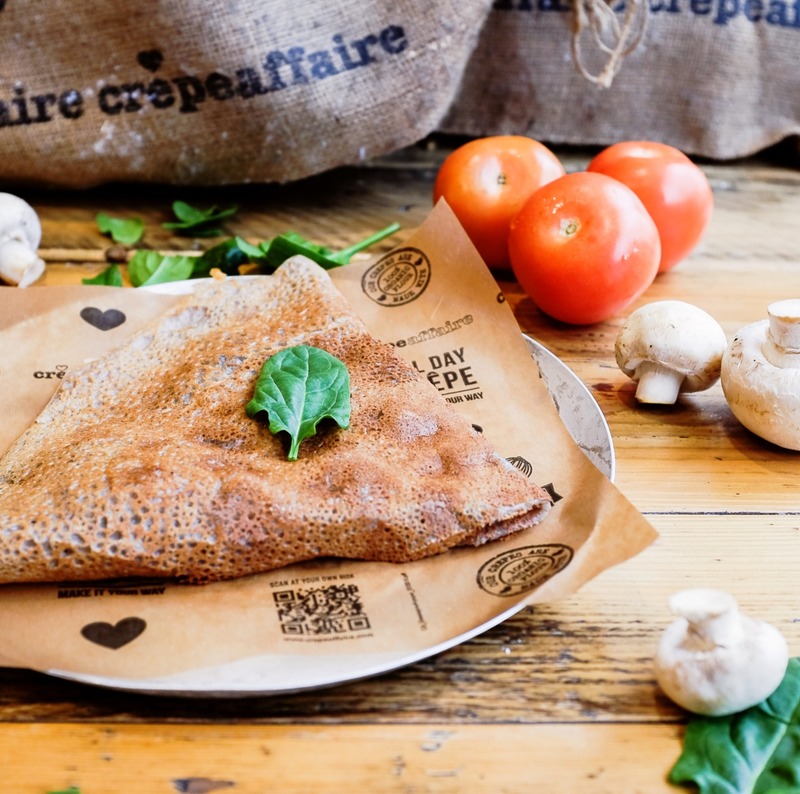 From vegan crêpes to gluten-free galettes, the Crêpeaffaire chefs have been busy flipping pancakes, baking crêpes and trying out new flavours, free-from ingredients and epic recipes we think you’ll love. Whether you’re vegan, gluten free, meat free, dairy free, or just after a healthier option now and then – we’ve got it all. Today, we want to highlight our brand spanky new VEGAN collection. All our vegan crêpes (galettes) are made using our organic gluten free buckwheat flour. Sweet or savoury, this collection is free from animal products, but it’s certainly not free from flavour! We’ve got 3 sweet & 3 savoury Vegan galettes up for grabs on the menu, but there’s lots of options you can make vegan. Such as, our Mellow Yellow and Cinnamon crêpes – all you need to do is swap for a buckwheat galette and ask for vegan butter! Simple as (pan)cake! Watch this space – we’ll be highlighting all the new features in our menu in our blog, including new recipes, gluten free options and crêpes under 500 calories!